Confidential data stored on hard drives, flash drives (memory sticks) and optical disks (CD’s & DVD’s) is a prime target for thieves. And simply deleting the files – or even formatting a disk – isn’t enough to guarantee that data will be properly wiped out. The data on a single hard drive, when printed out, could cover ten football pitches. Imagine what could happen if a drive full of confidential customer or company data fell into the wrong hands. Whether you throw it away or let it lie forgotten in deep storage, a hard drive you no longer use is a data-loss timebomb just waiting to go off. The safest course by far is to destroy it completely. It’s a step many people overlook, but it’s the only way you can be sure that the data can’t be retrieved by fraudsters or identity thieves. We can securely shred hard drives of all types. 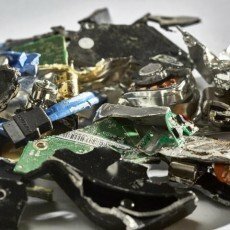 If you choose our mobile hard drive destruction service, we can come to your premises and destroy your drives as you watch. Alternatively, we can collect them and shred them at our own state-of-the-art plants. 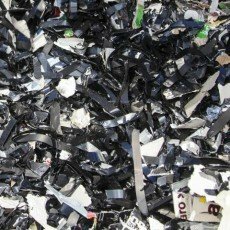 You can have the drives shredded into 16mm fragments either onsite or offsite. 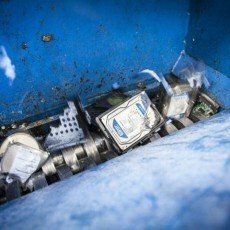 Choose offsite shredding at our secure premises and we can grind your hard drives right down to dust for 100% peace of mind with our high security shredding options. We record the serial number of every item destroyed, issue you with a Certificate of Destruction and send all suitable shredded materials for recycling or incineration. We can securely destroy any media that contains (or once contained) confidential data. That includes backup and audio tapes, optical disks (CD-ROMs and DVD-ROMs), flash drives (memory sticks), SD cards and more. Just as with hard drives, we can come to your premises or bring your digital media to our own plant for destruction. All resulting material is sent to an Energy from Waste Plant, where it is incinerated to generate electricity that powers homes across the UK. November 2017 we were awarded ‘Best Hard Drive Shredding Specialists’ by GDS review.